Orange soap is highly reviving as it rids skin of impurities while stimulating and tightening skin pores. It contains Orange juice and Orange-skin extract, both rich in Vitamin C (L-Ascorbic acid), that soften out fine lines and minimise wrinkles giving shine and elasticity to the skin. Essential oils in orange skin have antiseptic and detoxifying properties that keep erupting and forming acne at bay. In Orange soap, they are combined with bergamot essential oils that fight hypertension, oiliness and acne. 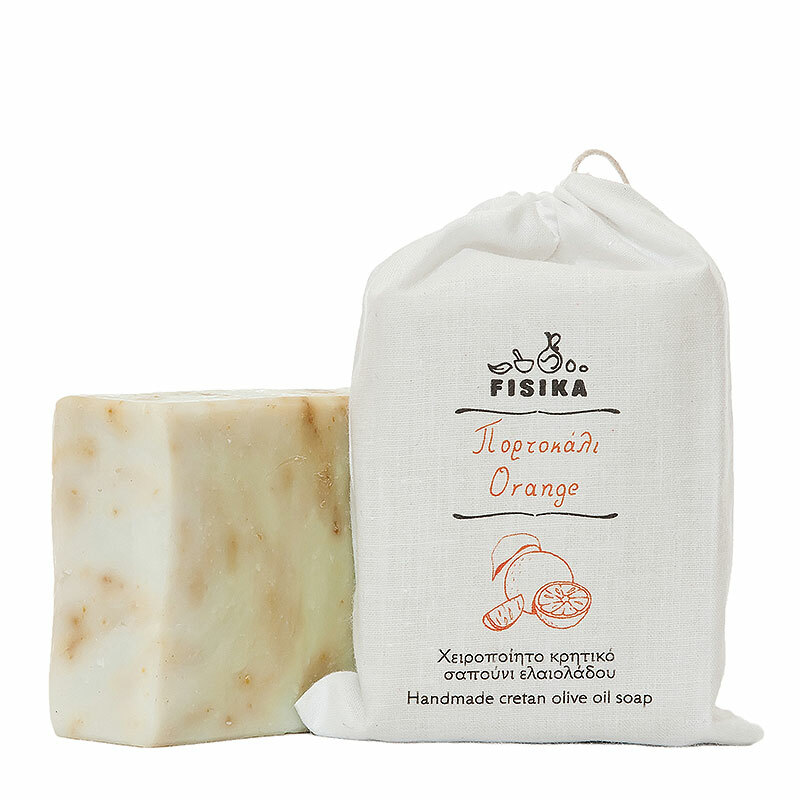 The soap is also enriched with mandarin essential oil, reviving both the skin and the senses. Cypress essential oil cleanses deeply the skin, making it tender and shiny, while can be beneficial especially to oily skin thanks to its antiseptic properties. For face and body. Ideal for porous, acne-prone, or mature skin. Suitable for all skin types. • Ingredients: sodium olivate >90% (organic olive oil), sweet citrus aurantium dulcis juice (orange juice), aqua, sodium cocoate (organic coconut oil), daucus carota extract (carrot oil), citrus aurantium dulcis peel (orange peel), sweet citrus aurantium dulcis peel oil (orange essential oil), citrus nobilis peel oil (mandarinn essential oil), citrus aurantium bergamia oil (bergamot essential oil), cypressus sempervirens oil (cypress essential oil).